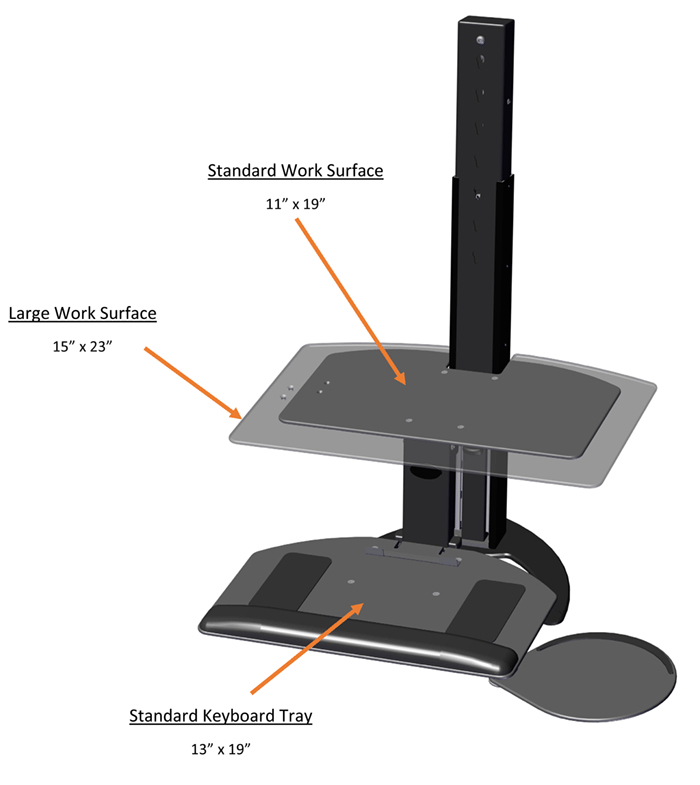 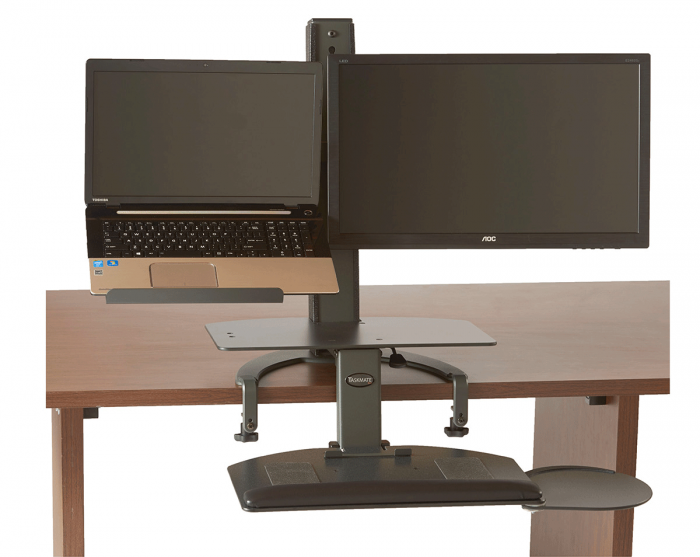 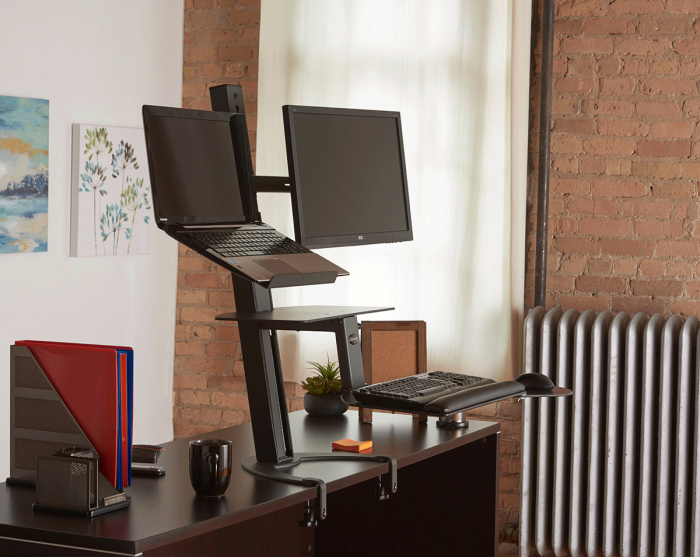 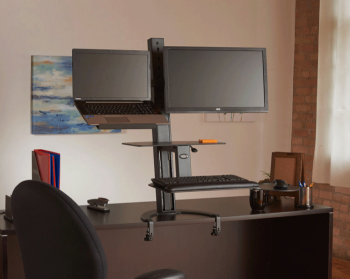 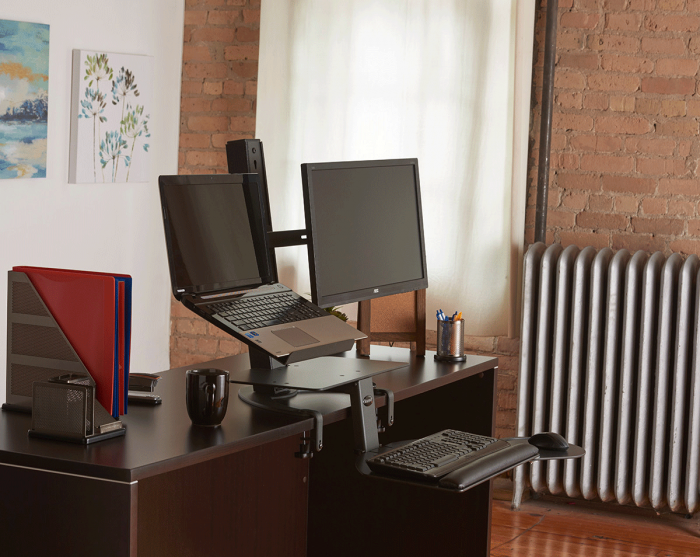 The Taskmate Go sit stand desk from HealthPostures is a sleek, cost effective way to enjoy a healthy energetic work-style. 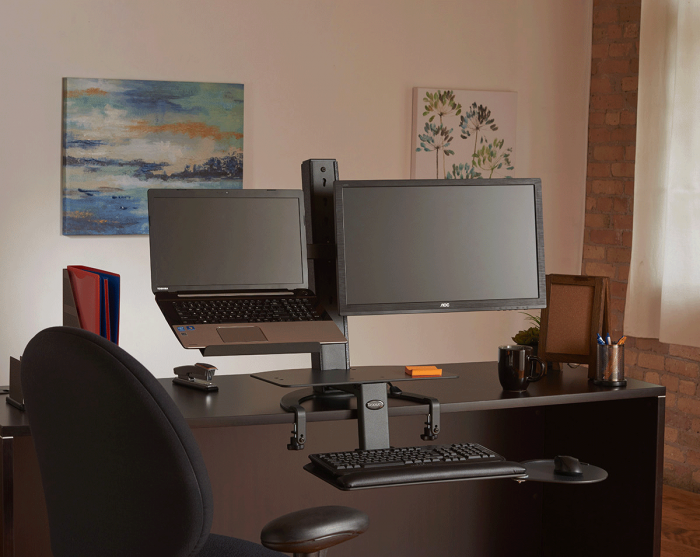 Now you can effortlessly move from a sitting position to a standing position improving productivity and comfort and have the freedom to move whenever you like. 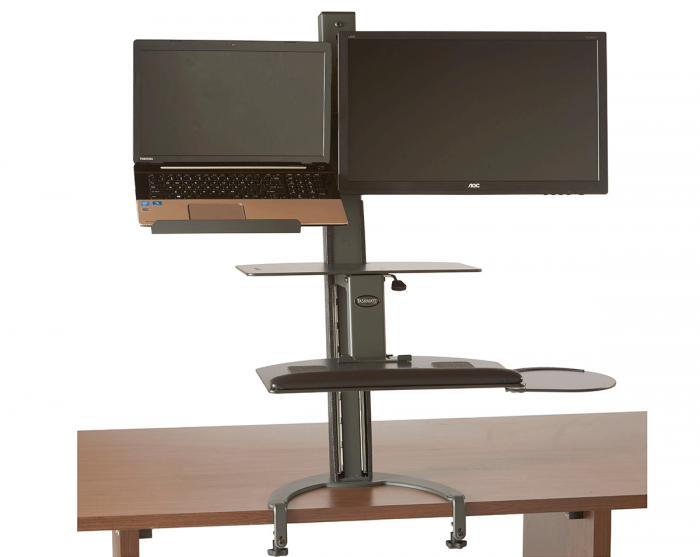 This Model comes complete with Laptop Holder and monitor mount.